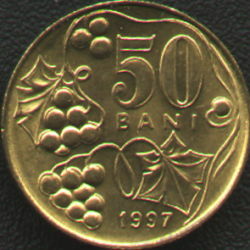 denomination "50 BANI", year 1997, grapes and grapevine leaves. 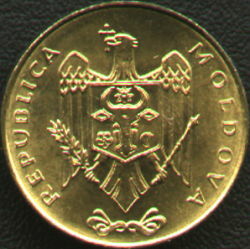 Moldavian coat of arms and inscription REPUBLICA MOLDOVA meaning "REPUBLIC OF MOLDOVA". There would be a lot to say about the two Moldavias of our present time, about those things separating them now and about those that kept the Moldavians together before and after their unnatural partitions, even since before the Moldavian state's foundation. Many, if not all defining lines of the Moldavian specific stood unbudged beyond the unwanted and artificial periods of estrangement that time imposed to the long enduring natives of these parts of Europe in the last two hundred years and more. This, it has to be said, superb coin induced us this short praise for both its special design and realization as well as a short excursus touching the concept of the coin and those above pointedout, illustrated with excerpts of our readings. 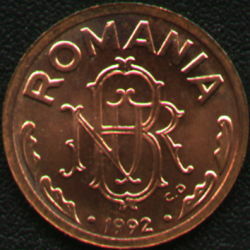 Prince and scholar Dimitrie Cantemir (1710-1711) wrote in his book Descriptio Moldaviae - Moldavia's Description - about the main beverage of the Moldavians: that was the produce of the grape clusters featured by the Moldavian coin as symbols of the so rich in grapevines Moldavian soil. Moldavians "feel not too queasy because of the beverage, yet also they are not too addicted to it either." During winter especially the Moldavians warm their limbs with wine, their main beverage: "Booze is not loved by anyone, except the soldier; others drink only a small glass before the meal." In no way was Dimitrie Cantemir intending to picture the Moldavians as apart of the other Romanians in which the culture of wine drinking was concerned, yet only in pointing that drinking wine was a deeper and more prized customary behaviour in all social classes. We conclude our excursus below with a most delicious fragment of the same work that reaffirms the priority of Moldavians among Romanians as wine drinkers: "Once a quarrel arose whether the Moldavians or the Walachians were the most eminent imbibers. Those quarrelling went to the bridge in Focşani (at the border between Moldavia and Walachia), where so long did they both quarrel with the glasses until the Walachian fell down because of the so much wine he had been drinking. As reward for his victory the Moldavian was gifted by the princedom with nobility."